Down at the Crossroads is a celebration and an exploration of the blues and faith. 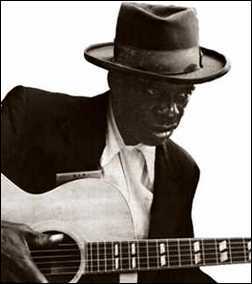 Both the blues and faith touch us at a deep level and although, over the years, there has been much suspicion by faith communities regarding the value of the blues and amongst lovers of the blues about the value of Christian faith, there are many, many points of connection. Down at the Crossroads, then, is where the blues and faith meet! Gary Burnett is a technologist, entrepreneur and amateur blues historian. He also teaches at a university Institute of Theology and, when he’s not listening to the blues, is to be found playing his Lowden, Fender, Gretsch and PRS guitars. Gary first started listening to the blues in the early seventies – Decca’s World of Blues Power was the very first album he listened to, hearing John Mayall’s Bluesbreakers with Eric Clapton, Ten Years After, Peter Green and Savoy Brown. Once he had heard Clapton playing “All your lovin’ pretty baby” and Savoy Brown singing “Taste & try before you buy”, next stop was Sonny Terry and Brownie McGhee. A lifelong passion for the blues ensued! For the past few years, the faith community of which I am a part has allowed me to organize an annual Blues evening, in which we have explored the relationship between faith and the blues, making sure we do so accompanied by a lot of live music. We’re blessed in having some great musicians as part of our community and knowing some other excellent performers. So, out of the inspiration, challenge and enjoyment that hundreds of people have had through this experience comes this blog…enjoy! Like your concept ! Regards from Thom at the immortal jukebox. (Give it a spin! ).